Several months ago when I heard the news about Facebook paying $1 Billion for Instagram I thought ‘the world was going crazy’. My first impression was to think that the ruling scale of values was mistaken. That people was giving value to unimportant things while the rest of the world was still trying to manage to survive the day. I couldn’t understand Why would a company pay such a huge amount of money for a software application for smartphones and iPhone that is only used for procrastination and doesn’t create any value for the world? 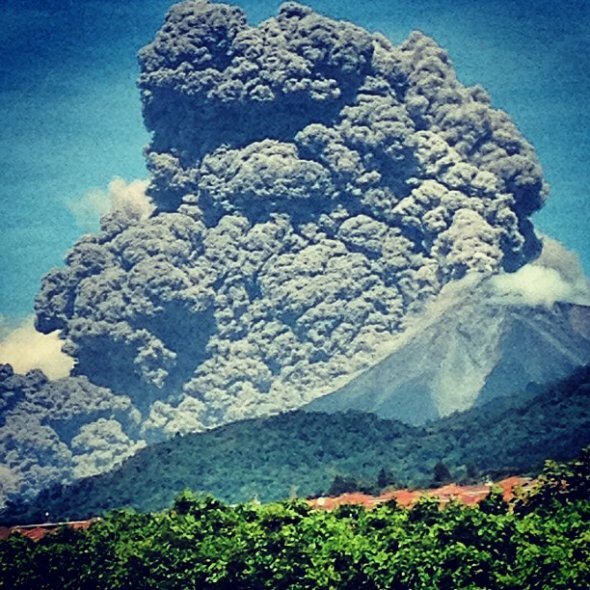 Last week’s volcanic eruption of Fuego Volcano in Guatemala made me change my mind. The entrepreneurs behind Instagram, Kevin Systrom and Michel “Mike” Krieger, created an application that was not only user-friendly but that enabled users to share images from anywhere in the world immediately. Such an application was created (maybe unintentionally) to become one of the fastest image reservoirs of instant news and global interconnection. When Facebook bought this photo-sharing app and paid $1 Billion they had not only bought the access to an essential function in millions of smartphones around the world but also connected visually the planet as we had never seen before. Last week’s event in Guatemala was the first time in my life when I could see through my phone in Denmark high quality images of events that were taking place in real-time more than 5,843 miles. Indeed, Hayek’s ideas of how an spontaneous order works was going global! To say that the world is interconnected and interdependent means to say that we are able now able of bypassing normal newsbroadcasters around the world. No longer will be that easy for anyone to control what the world would see and what the world wouldn’t see (as critized when News corporations around the world have been used to show a biased reservoir of images and videos during the Gulf War, or in the war in Iraq to mention some examples). Now, with access to photo-sharing applications such as Instagram the world not only has access to interconnection of real-time events but also has what Hayek explained as “a more efficient allocation of societal resources than any design could achieve.” Instagram is one more societal tool that enables us to achieve the best of humanity if used for the right purposes. Because of this reasons the founders of Instagram earned that billion dollars and the world is wealthier today.